One of the best ways for me to get insight is to remove myself from familiar surroundings, break my routine and do something unusual and this time was no different. I just came back from Birmingham where a local Women Economic Forum was being held. If you have been to a women’s forum you know what it entails but for those unfamiliar with the scene; a WEF event essentially, is a conference attended by women from all over the world who come to share personal stories, promote business, network or just to soak in the atmosphere and check on the program. From discussions on women’s under representation in sports governance to learning more about the benefits of theta healing, there’s something for everyone. It’s great fun too as you can imagine, with many strong women from all walks of life bonding and discussing issues that they are passionate about. The annual event in India where I received an award in 2017 was glitz and glamour in massive proportions. Held at a 5 star hotel in New Delhi with Bollywood stars and members of the government in attendance, saw more than 2.000 people attending daily over 5 days. It was my first time at this kind of event and the first time I had to make a speech to a (very) large audience. To say it was terrifying is an understatement but the friendly and appreciative environment made me realize that no one is there to see me fail. New friendships started and Breakthrough, the book I’ve co-authored with 16 other ladies is a solid manifestation of our collaborative efforts. It is fair to say that attending the WEF has made a positive contribution in my life. 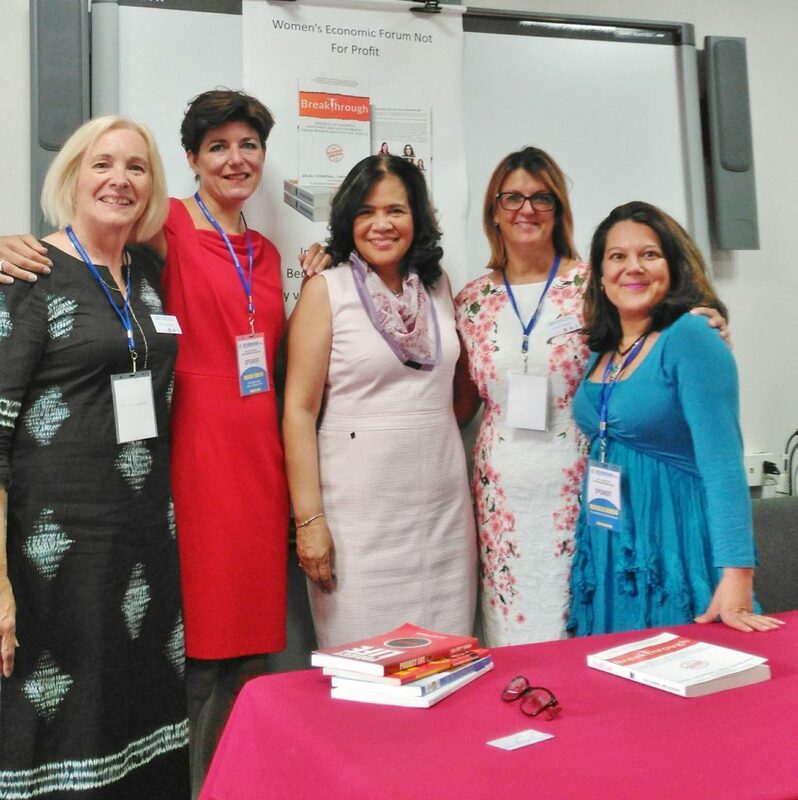 I was in Brazil when the book was released so I didn’t get a chance to catch up with my fellow co-authors in India this year. Birmingham would be ideal for us in the UK to meet up. 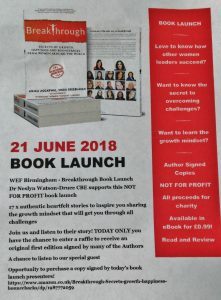 Dr. Neslyn Watson-Druee very kindly allowed us a slot to talk about our book and we reciprocated by donating all the sale’s profits to the temple where the event was held. If the annual event is a big party with all the girls, the conference in Birmingham was like visiting a friend at her house. The WEF Birmingham was what they call a chapter; members can hold meetings in their own communities. These regional meetings are smaller in size and with shorter duration and have a more relaxed vibe. 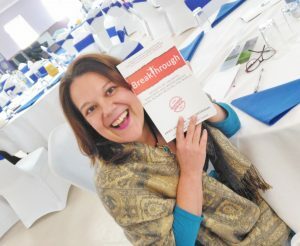 The best part of co-authoring Breakthrough – Secrets of Growth, Happiness and Bouncebacks From Women Around The World was being inspired by all the stories I read. 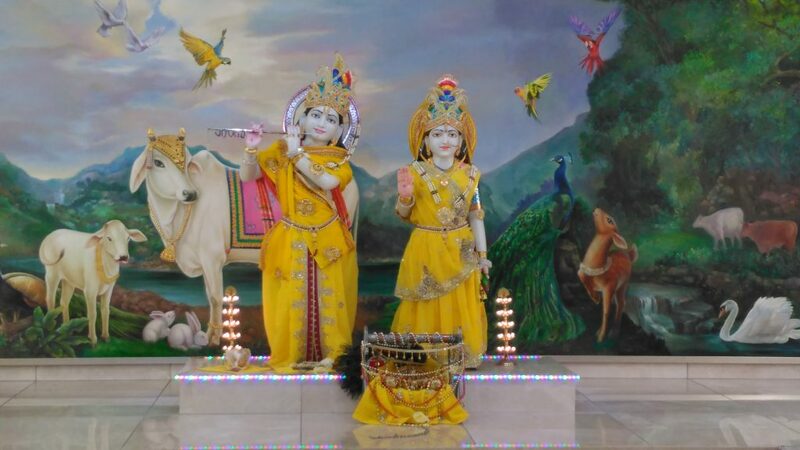 Shree Krishna Temple has the loveliest vibe. The sacred statues were truly alive, blessing our gathering and adding beauty to our event. The smaller crowd helped me to feel more connected with the other participants. I’ve made more new friends and learned from the incredible stories I heard. Although the WEF is women-led, men are welcome and it important that their presence is celebrated too. In my daily life I like to be a lone wolf but I answer the call when it’s time to regroup with my tribe. I plant the seeds of fulfillment by surrounding myself with supportive and like minded souls, reading insightful books, enjoying uplifting environments and learning from other people’s experiences. Breakthrough, my very first experience as a co-author is an inspiring evidence that the fruits of those seeds can be lovely indeed. Breakthrough authors Pat Duckworth, Rachel Smets, Lynn Hope Thomas and I with our special guest Cora Cristobal in the middle. Choosing the right psychic is like choosing any professional. You may have to try a few before you get the right one. The right psychic for you will depend of what you need more at that particular time. 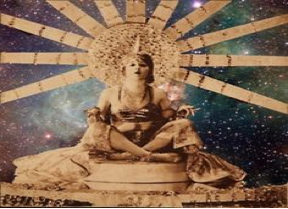 We may share the same tools (tarot, runes, mediumship, palmistry…) but each psychic will have a unique approach that is heavily influenced by our own views and experience and how we see ourselves in our role. 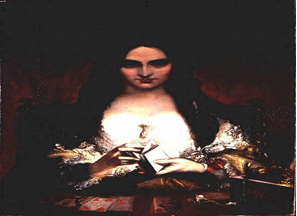 In my experience as a practicing psychic as well as a psychic lover, there are 4 main types of psychics that you are likely to come across when you are looking for a reading. Of course all psychics share all characteristics but I would say that one is predominant in their work so I added some key words so you may have a clue just by looking at their website and the way they advertise their services. Please bear in mind that what I am writing here is based purely on my views. I have the utmost respect for all my colleagues and I don’t think one is better than the other. 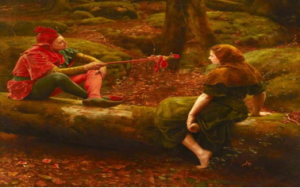 In my first paragraph I have made clear that the right psychic for you is the one that can respond better to what you are looking for at a specific stage in your life. This diversity is beneficial, necessary and fun! Pick your favourite! Keywords: transformation, empowering, success, achievement. These ones are the most likely to give you a good dose of encouragement and inspiration to change negatives into positives. Their energy is uplifting and if you need motivation you will really benefit from a session with this type. They go straight to the light at the end of the tunnel, giving you courage to face your fears and hope for the future. The Solution Focused has a winning mentality and will give you inspiration to overcome your obstacles and find your purpose. Many psychics are joining the Solution Focused wagon so finding one won’t be too hard. They are super positive and really want to change your life. The not so great side of this bunch: they can be bossy, “all knowing” and they love having “followers”. You will hear all about their latest projects and reviews, connections with the rich and famous and anything that will show you how special they are. Guru behaviour? Maybe, but if you get a genuine one you will find that in some cases the talent justifies the hype. Keywords: natural born, gifted, past-present-future, divination. Most natural born psychics fall into this category. They just “know” what’s going on and their accuracy can test the most sceptics of clients. They have the ability to connect straight to your soul so expect detailed descriptions of people, places and things as well as predictions about your future. 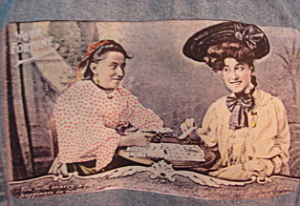 If you look for a psychic like the “old days” when predictions were given more freely and psychics didn’t worry too much about third parties and the rights and wrongs of predictive reading, this one is right for you. Mind you, one of the downsides of Fortune Tellers is that their reading can leave you shaken. Most psychics (in my opinion) have stopped following that route so finding a genuine fortune teller can be frustrating. The best way to find them is via recommendation or you will meet them by chance. Keywords: guidance, advice, support, healing. They are like strong trees. There is a bit of Mother Earth in them and as soon as you enter the room you feel comfortable and grounded. Carers will be supportive and welcoming; they are naturally gifted in giving guidance and advice and restoring your sense of well being. They are excellent listeners too so you can talk about your problems without any fear of judgement. The carer is there to hold you with compassion and help you to see the other side of a situation. They are natural healers. On the other hand, this type can frustrate you in the sense that you feel you are having counselling rather than a psychic reading. They are the most likely to “therapize” you so if you want clear answers this may not be the right one for you. Too therapeutic? Perhaps, but a session with a caring psychic can help you to heal and to feel that you are not alone and that someone is there to support you. Dispensing with any nonsense, this kind aims straight for the truth, which they are not afraid of delivering. Analytics are usually clean-cut and businesslike. Many appear un-psychic but do not be put off by this. They have a lot to offer, especially if you have very specific questions that you want some clarity on. Analytics will ask you directly what issues you want to bring to the session so you both know where you stand. Intelligent and perceptive, they have amazing vision and are detached enough to give you clear answers without sugar coating. They won’t be afraid of challenging you if they feel that you are repeating the same question or asking something that goes against their ethical principles. They see beyond the question and their observations will give you plenty of food for thought. For some they are too clinical but if you want someone who will tell you as it is, this one is your best bet. I can’t stress enough the importance of contacting your psychic before you decide to book a reading. After an informal chat you will get the vibe and then you will be in a better position to choose what feels right to you. The best way to get it right would be via recommendation but I appreciate that sometimes we need to find alternatives. Be careful with professional psychics that don’t have a website or a social page. They may avoid social media because they don’t want bad reviews to be made public. Watch out, keep safe and have fun! Last but not least, if you would like to book a reading with me, feel free to get in touch. 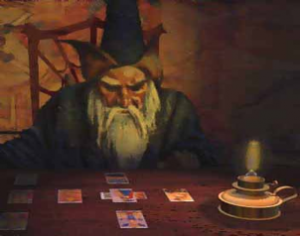 Based on my own story and feedback from clients, I fall into the Fortune Teller/Analytical category so if you don’t mind a slightly unusual psychic without any previous Tarot training, who still follows the old style but with a strong sense of right and wrong, I am waiting for you.